Due to dramatically increasing information published in social networks, privacy issues have given rise to public concerns. Although the presence of differential privacy provides privacy protection with theoretical foundations, the trade-off between privacy and data utility still demands further improvement. However, most existing studies do not consider the quantitative impact of the adversary when measuring data utility. In this paper, we firstly propose a personalized differential privacy method based on social distance. Then, we analyze the maximum data utility when users and adversaries are blind to the strategy sets of each other. We formalize all the payoff functions in the differential privacy sense, which is followed by the establishment of a static Bayesian game. The trade-off is calculated by deriving the Bayesian Nash equilibrium with a modified reinforcement learning algorithm. The proposed method achieves fast convergence by reducing the cardinality from n to 2. In addition, the in-place trade-off can maximize the user’s data utility if the action sets of the user and the adversary are public while the strategy sets are unrevealed. Our extensive experiments on the real-world dataset prove the proposed model is effective and feasible. Lei Cui and Youyang Qu contributed to this work equally. The online version of this article ( https://doi.org/10.1007/s11390-019-1910-3) contains supplementary material, which is available to authorized users. 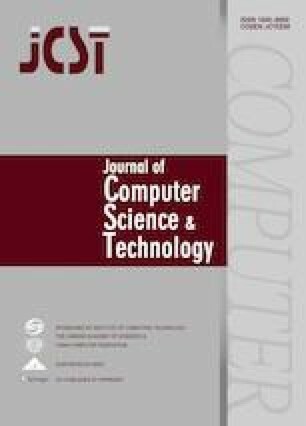 Ma J, Liu J, Huang X, Xiang Y, Wu W. Authenticated data redaction with fine-grained control. IEEE Transactions on Emerging Topics in Computing. doi: https://doi.org/10.1109/TETC.2017.2754646. Nie Y, Yang W, Huang L, Xie X, Zhao Z, Wang S. A utilityoptimized framework for personalized private histogram estimation. IEEE Transactions on Knowledge and Data Engineering. doi: https://doi.org/10.1109/TKDE.2018.2841360. McAuley J, Leskovec J. Social circles: Google+. https://snap.stanford.edu/data/egonets-Gplus.html, Nov. 2018.